A complete list of taste-tested allergy-friendly products including their ingredients and company information, kitchen must-have’s, substitution lists, recipes and other resource information included in one book. “Watch this video on how to use an EpiPen, here’s a prescription for one and don’t feed him those foods.” That was it, nothing else. This was the response that I got as a newly diagnosed food allergy mother. I didn’t even get handed any of those colorful, scary looking trifolds with the pictures of hives and swollen lips on them. Nothing, zip, nada. At what point is a parent not supposed to freak out if this is how most doctors are giving them the news about a positive food allergy test? When did it become so mainstream to provide only bits and pieces of information for such an important event? Surely, when the doctor was taught about food allergies in medical school, they received an overload of information. So why isn’t it being given to parents to be prepared? After some soul-searching, many crying events and boughts of frustration, I was given an answer- help. Yes, it was that simple. I was fortunate enough to work for a great doctor at the time that used nutritional approaches to dealing with her patients’ behavioral and developmental disorders as well as food allergies. She taught me how to nourish my son and keep him healthy, not just fed. I learned how to adapt recipes and how to think outside of the box to relearn my kitchen basics using allergy-friendly foods. And for years, she nagged me and insisted that I needed to help others. So one day, I did. I began Nutrimom Inc. (aka Nutrimom – Food Allergy Liason) with the hopes of making other people’s lives less stressful. My mission is to help ease the frustration of where to start, what to use, how to cook easy recipes and where to get the much needed support. 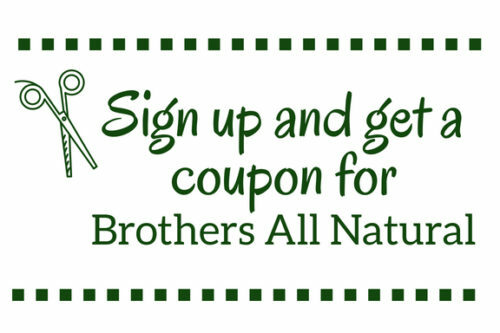 I blog, write product reviews (check out the review I wrote for Brothers-All-Natural in 2012) and I consult. As a Food Allergy Consultant, I offer specific one-on-one sessions that are very different and unique than that of a registered dietician or nutritionist. I do not provide calories, fat content or any medical advice whatsoever. What I do provide is the much needed knowledge that many do not know how to begin to find. I guess you could say that I am a stepping stone. 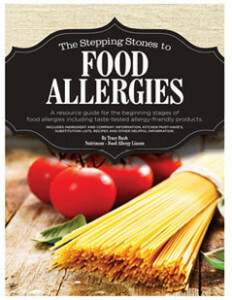 “The Stepping Stones to Food Allergies” is available on Amazon.com. Get your copy today!